TRIBUTES have poured in for a "gorgeous and thoughtful" Mackay teenager who died in a crash in Central Queensland on Wednesday night. 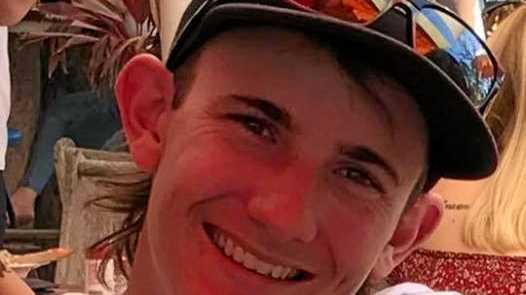 Max Hoyle, 19, of Devereux Creek, tragically lost his life when his Toyota Hilux swerved into the other lane while travelling south on Fitzroy Developmental Rd near Dingo about 7.30pm. The vehicle landed 20m to 30m off the road on its roof according to police. Police reports show witnesses attempted to resuscitate Mr Hoyle for half an hour and when paramedics arrived they too tried to revive him. He could not be saved. "Hard to believe the person that you've lived next to your whole life and made most of your childhood memories with is gone," Connor Tolson wrote on social media. "You were the crazy one brother. Rest In Peace Max, you will be missed." "Our hearts are broken," family friend Julie Watt wrote. "Thinking of you all and sending love & hugs, Max was such a gorgeous little rascal loved him so much. "He's now a beautiful little angel in heaven above."